Summer is just around the corner, and what does that mean? Getting that perfect tan! But before pools open and beach days start, there are other ways of getting that glow: sunless tanners. 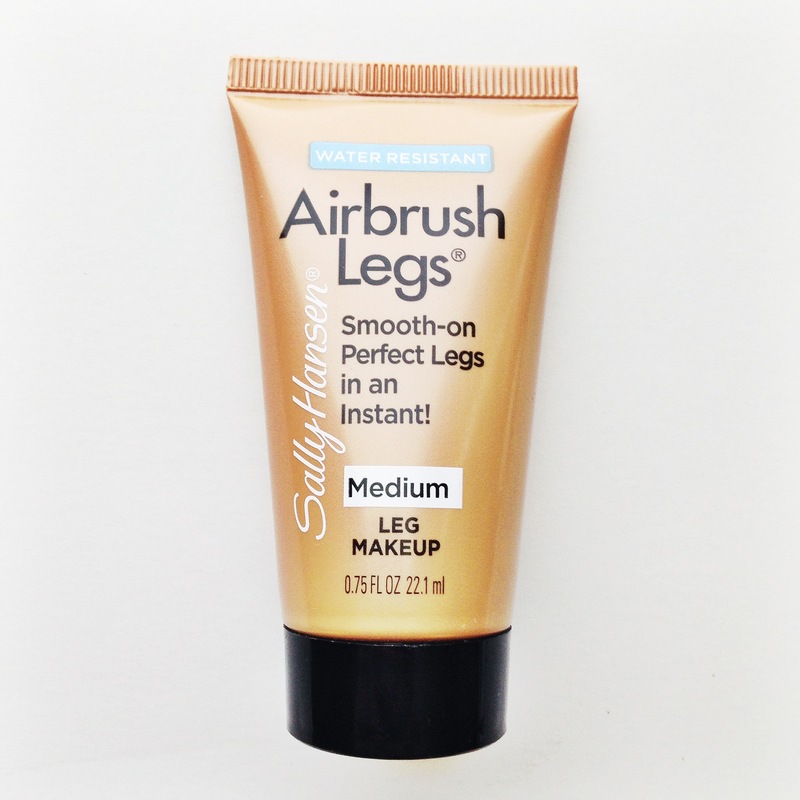 I signed up with Influenster to test products, and one item I received was Airbrush Legs by Sally Hansen! It’s a temporary leg makeup that can be easily washed off with soap and water at the end up the day. It goes on smooth without streaks and does give you the perfect summer glow (as you can see in the photo above). My legs are pasty white, and after applying this product they actually had a natural looking color. The downfall? It rubs off on literally everything. My white rug now has orange spots where I was sitting (I mean, I guess it probably wasn’t a good idea in the first place… but it looked great for the photo, right?) It is also really messy, I somehow managed to splatter it on my bathroom floor, sink, and bathroom rug. Luckily it came right off with makeup remover wipes. After trying this product, I decided it wasn’t for me. I have always used Jergens Natural Glow moisturizer and plan to stick with it. 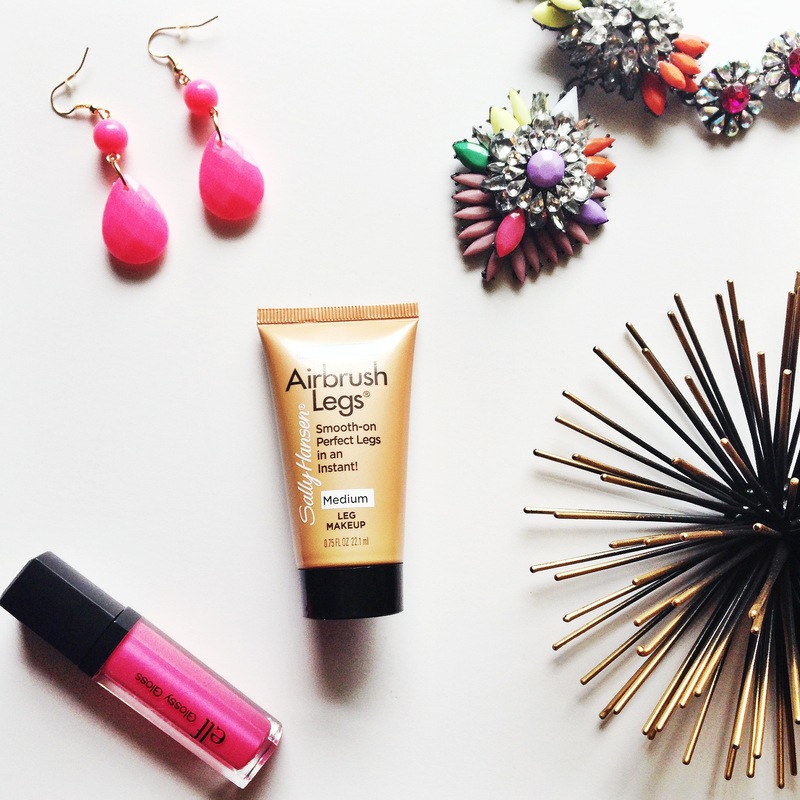 Have you tried the Sally Hansen leg makeup? What did you think? Let me know in the comments below! < Previous Kate Spade Surprise Sale! Next > Makeup Reviews Thanks To Influenster!